When you’re working with Golden West Exteriors, you can expect your new single seam metal roof to last 30-50 years. They are extraordinarily fade resistant, and in the off-chance that you do need a repair, they are typically quick and easy fixes. So, while the initial cost of materials may be a bit higher than other roofing materials, you aren’t going to find a better overall return on your investment. You may have some roofers try to steer you away from metal roofs. That’s probably because they don’t have the expertise and experience they need. 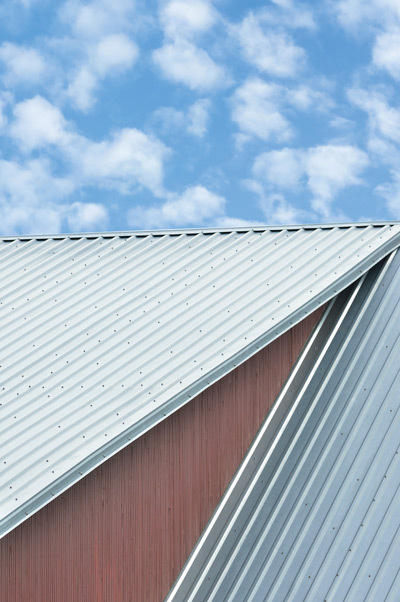 When you’ve got more than a decade of experience installing standing seam metal roofs, like Golden West Exteriors, you can be assured that your team has the experience and expertise to get your roof installed correctly, on time, and on budget. So, whether you are deciding between a metal roof, rubber roofing, or traditional asphalt shingles, give us a call. We’re happy to meet with your project team, discuss the pros and cons of each, and help you reach the right decision for your building.